The United States is the world's largest producer and consumer of wood products harvesting about 350 million tons of round wood annually. When I dismantled the old workshop I made sure that I inspected every stick of wood that came out of the building to see if it could be used in making a guitar. 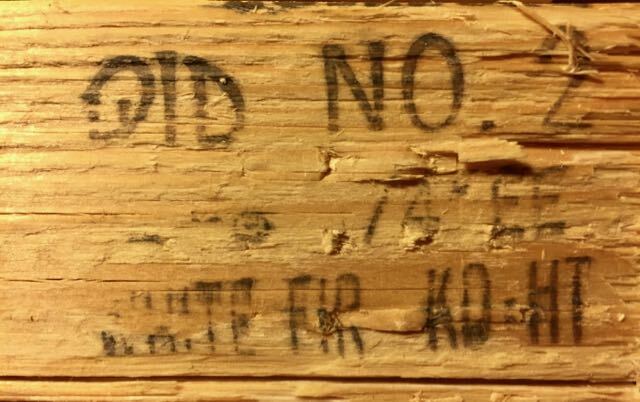 There wasn't much, most of the Douglas fir 2x4's were too knotty or had amazing amounts of runout to be used, all of that went into constructing the new tool shed. 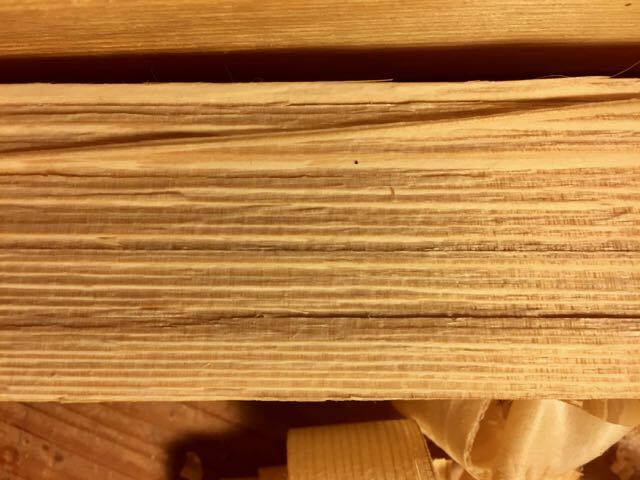 I did find a couple of 2x4's that were white fir, abies concolor, that showed some promise. I cut out the parts that looked good and split them, the failure rate was pretty high, lots of run out. 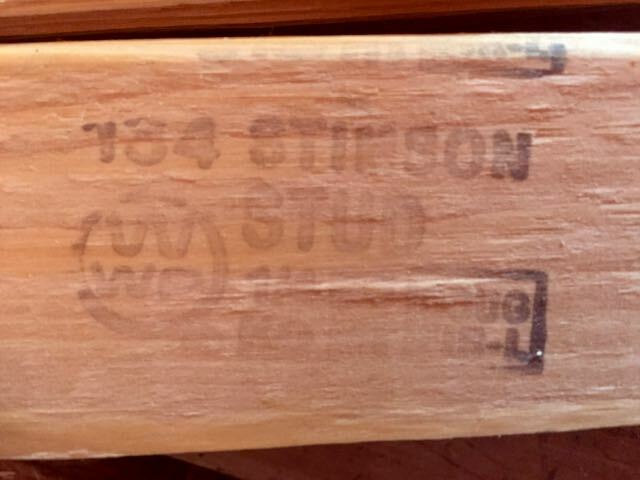 One piece that is suitable has the old sawmill stamp on it, I believe it is a West Coast Lumber Inspection Bureau stamp. I went to their website, click here, and found that Mill 74 is no longer in operation. This piece of wood is definitely white fir! The old workshop was constructed about 1964, which means this stick of wood is two years younger than me! This is from a new 2x4 that I used to frame my new workshop. 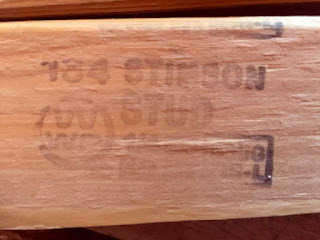 As you can see it is stamped Doug Fir-Larch and was milled at Priest River, Idaho. Go to the Western Wood Products Association webpage to see a listing of all the mill currently in operation. 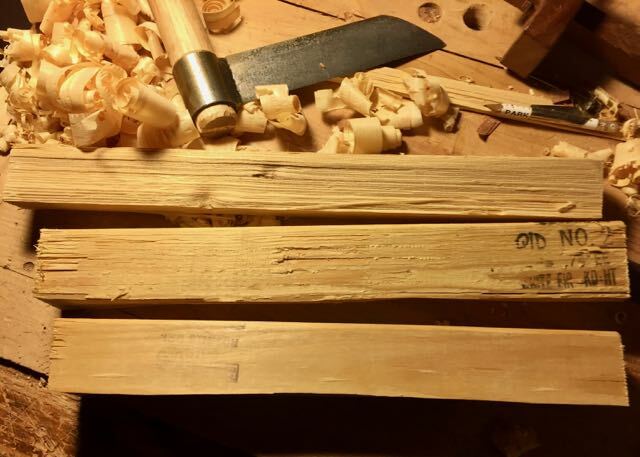 I am not sure if this piece is Douglas fir, it's a little too light in weight and really doesn't have the pitchy Douglas fir smell to it, it could be Western Larch. Check out the medullary rays in this piece of white fir! The Douglas fir/larch piece also has some glorious medullary rays. 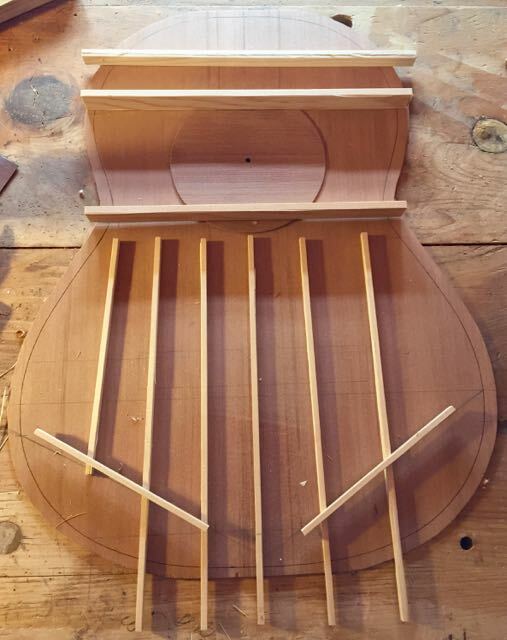 Here is a guitar top made from redwood that I purchased from Redwood Bears and Burls in Gasquet (Gas-key), California. You can also find their products on eBay, just look for "renobird". The "fan" braces are from the old piece of white fir and these braces are surprisingly stiff and light. 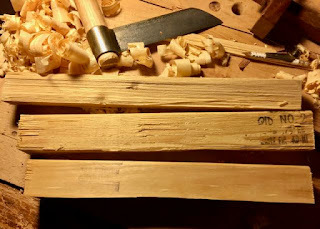 When I was single and living in Northeastern California, I cut and splits cords of white fir for firewood, even then I thought that it would make good brace wood for guitars. 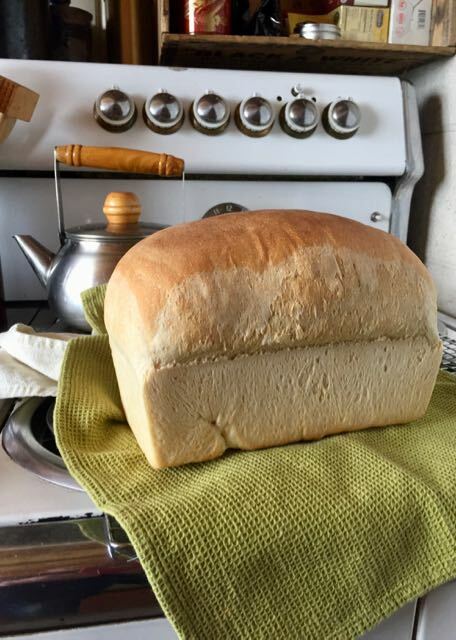 Today was also baking day! I started baking bread again, I forgot how much I enjoy it!